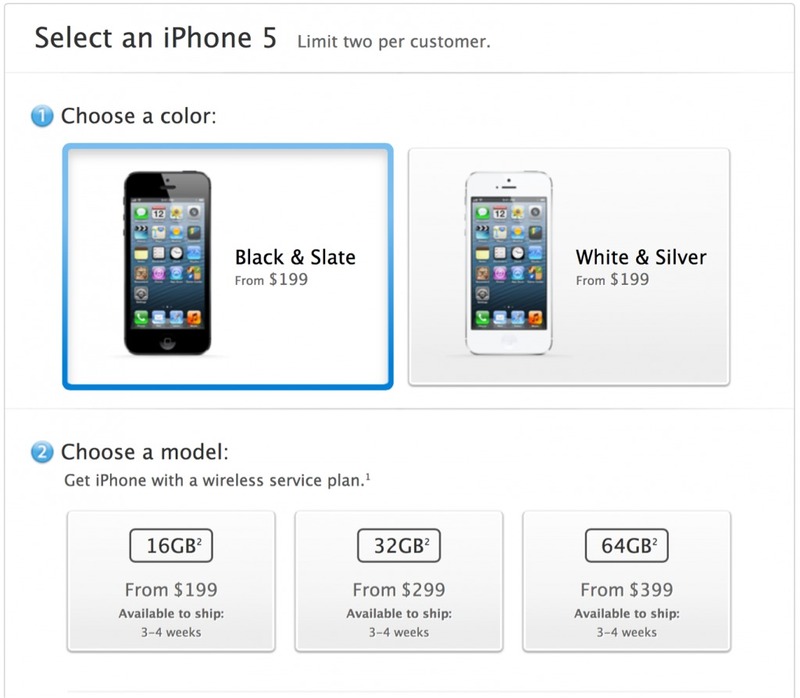 Shipping times for orders of the new iPhone 5 have slipped to 3-4 weeks. When pre-orders went live it took just one hour for the first batch of iPhone 5s to sell out. Shipping times slipped to 2 weeks. Now, just five days later, that batch is also sold out. If you are planning to get an iPhone 5 anytime soon we would recommend waiting in line on Friday or checking for stock at other retailers.